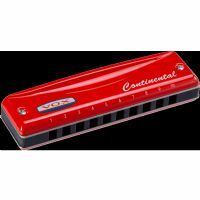 With a tempered tuning fork, the Continental Type-2 is perfect for playing ballads, pop or jazz. Its hood is "retro modern" design and offers a large opening that projects its rich and round tone advantageously. 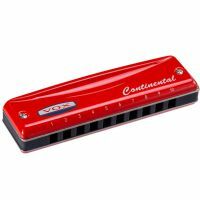 The VOX Continental Type-2 is a sleek harmonica made of natural wood fibre and a resin body. 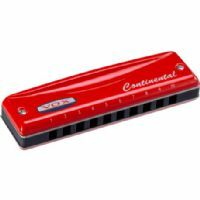 Available to buy in the major key of G, the Type-2 delivers a distinctive round sound that's perfect for ballads or melodies. 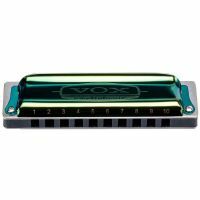 Introducing VOX’s first-ever harmonica series – a new collection of harps with an authentic rock vibe! Choose between two models, each with their own distinct style.